In 1893, New Zealand became the first self-governing nation to give the right to vote to all adult women. Two years later, in 1895, the women of South Australia achieved the same right. Very soon, one after the other, almost all democratic countries gave women the right to vote. Now, 118 years after the New Zealanders, we hear from Saudi Arabia that women will be allowed to run in local elections in 2015. It is four years from now. But yet, it is a giant leap for Saudi Arabia. The editorial of The Washington Times was, however, quick to criticise on Monday that since Saudi women are not going to vote this year, the announcement of the king was only a PR ploy. The editorial said that this is no big deal, because Elections are only held at the local level in the 178 Saudi municipalities. What The Washington Times failed to understand is the centuries of tradition and the deep-rooted belief system of the Saudi Arabian people. In a huge country with a strong religious-system, changes cannot occur at the snap of a finger. And this phased manner of enabling women empowerment must be welcomed. It should not be taunted and criticised. 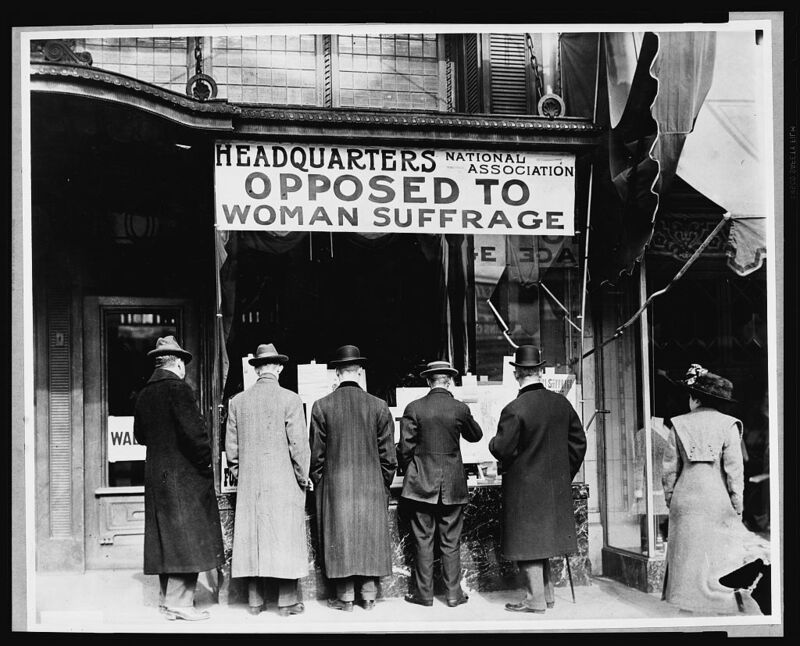 In fact, USA must look back its own history before commenting on women’s suffrage. Let it be known that USA was in fact very reticent and very reluctant to give women the right to vote. Despite USA being a so-called ‘learned’ democracy! Here is the truth I learnt from a little bit of research. (1) On January 12, 1915, a women’s suffrage bill was brought before the US “House of Representatives” but was defeated by a vote of 204 to 174. (2) On January 10, 1918, another bill was brought before the House. On the evening before, the then President Wilson had made a strong appeal to the House to pass the bill. It was passed by two-thirds of the House, with only one vote to spare. The vote was then carried into the “Senate” (3) On September 30, 1918, the amendment fell two votes short of passage. (4) On February 10, 1919, it was again voted upon, and then it was lost by only one vote. There was great anxiety among politicians of both parties to have the amendment passed before the general elections of 1920. So the President called a special session of Congress, and a bill, introducing the amendment, was brought before the House once again. (5) On May 21, 1919, it was passed, 42 votes more than necessary being obtained. On June 4, 1919, it was brought before the Senate, and after a long discussion it was passed, with 56 ayes and 25 nays. As a majority of the state legislatures must ratify it, it awaited ratification (6) On Aug 18, 1920, with the ratification by the state of Tennessee, it became a law. So, that was how the ‘Nineteenth Amendment’ to the US Constitution was approved, allowing women to vote. Interestingly, the state of Mississippi was the last state to ratify the amendment and did it as late as 1984! If USA took over five years in a ‘democracy’ to let the women vote, what is wrong if Saudi Arabian rulers take a little time? US and other countries should appreciate and applaud the move and wish the best, instead of making critical remarks on this amazingly progressive decision.